We offer a wide range of block-stack identification solutions including floor location labels, embedded floor labels and tags,hanging signs and barcodes, stanchions, bus-stop signs and selfadhesive floor labels. 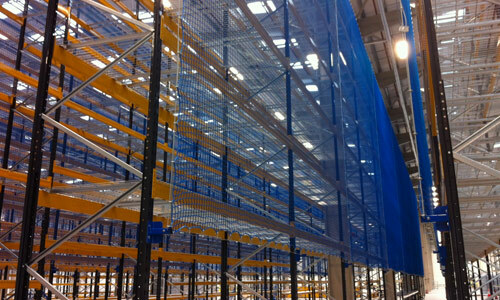 As a specialist in warehouse identification, we design and produce products in house for customers with specific block-stack storage requirements and provide standard items for general use. 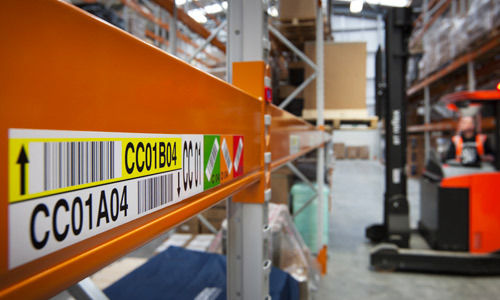 Our barcode location labels, floor labels, retro reflective barcode labels and signage are developed to help improve productivity and identification in storage facilities. With a simple design they require a low spec installation method, reducing time and essentially overall cost while being an effective solution. Alpha, numeric, alphanumeric and barcode information can be applied resulting in an effective warehouse block stack identification solution. 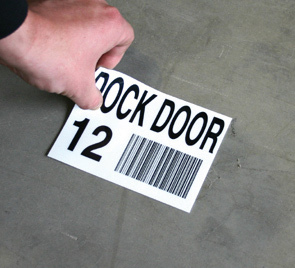 Self-adhesive floor location labels are the most common form of block-stack and bay location identification. Low cost and now with our latest adhesives they are a more durable solution. Our durable floor label is extremely robust as it is secured to the floor complete with metal surround and protective transparent cover. Floor-embedded labels and tags provide a highly-durable means of accommodating barcode labels in the floor, lying flush helps reduce wear and damage while improving the lifespan of the bar code labels and their scan verification properties. Hanging or Wall Mounted signs are produced in-house offering a block stack solution with long-range scanning capabilities and an eye readable location marker as a low maintenance fix and forget solution. Bus Stop or Stanchions signs are a flexible alternative to block stack warehouse identification both indoor and out. 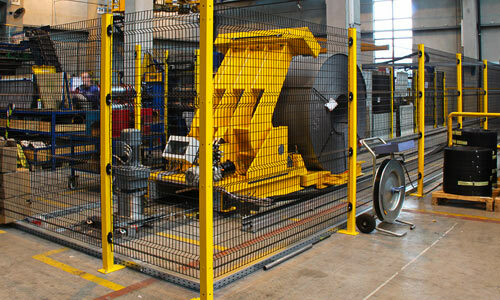 The stanchion method allows for frequent re-allocation and temporary allocation of storage locations. 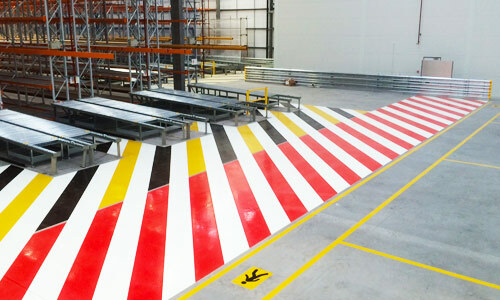 Stencils can be painted to the floor, but to get greater durability we advise preparing the floor beforehand either by shot blasting or diamond shaving.